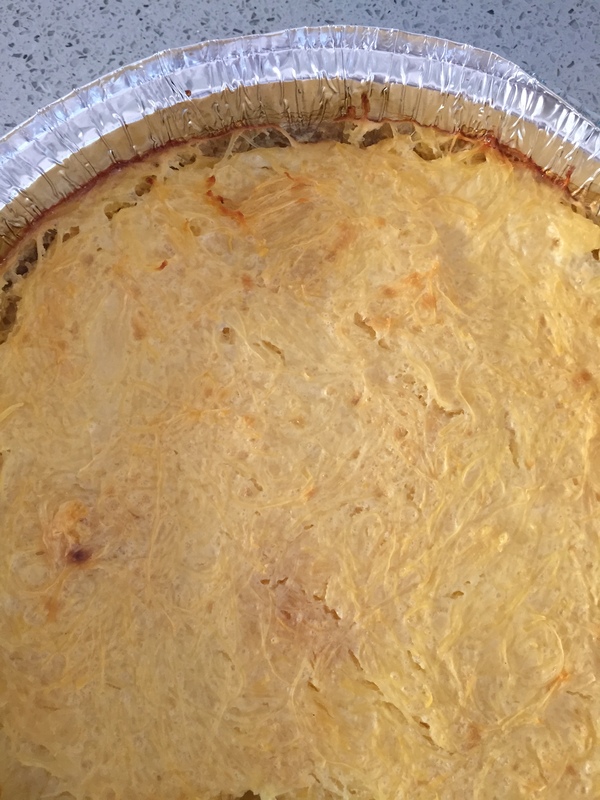 So I make the most delicious noodle kugel, I got it from my friend Bashi. There is nothing as delicious as this and since it has apples in it I always make it for rosh hashana. Well that’s not happening this year so I came up with a healthier recipes and I must say it is DELICIOUS! Preheat the oven to 350 deg. Put teh squash in a 9″ round pan. In a separate bowl mix all the other ingredients and pour over the squash. Bake uncovered for 1 hour, allow it to cool before serving. Note: I keep thinking about using the apple cinnamon soy crisps to make some sort of a crumble on top or a bonding agent inside. If anyone wants to try it let me know!